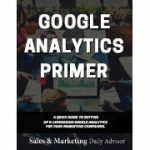 This quick read offers tips on how to setup Google Analytics for your website, and help you understand how to leverage this powerful tool for your marketing campaigns. 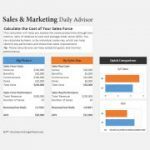 This calculator will help you assess the sales productivity of your sales team, and individual sales reps. These calculations can help you establish goals and monitor sales performance at your company. This bundle offers two tools to help you analyze new marketing opportunities and challenges. Choose between SWOT (Strengths, Weaknesses, Opportunities, Threats) SOAR (Strengths, Opportunities, Aspirations, Results), or both!